Let us also look at the numbers and let them do the talking! At the box office, Tubelight has raked in Rs 95.86 crore in five days. The producers get an approximate share of 50 per cent (Rs 48 crore) from these collections. Add to that the money that the makers made by selling the music rights, the theatrical rights and the satellite rights and you will realise that the movie has approximately Rs 250 crore already in its kitty. 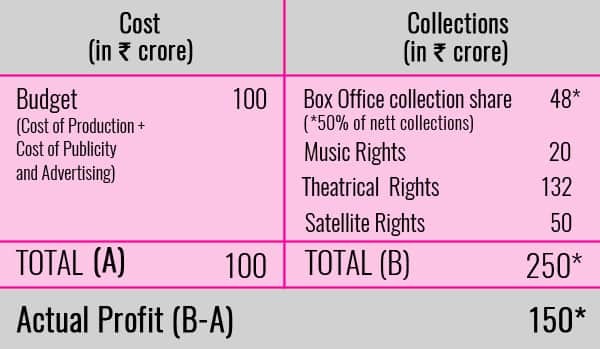 If you even subtract the budget of Tubelight (Rs 100 crore), the film still has a profit of Rs 150 crore, which is not a small number. So quite clearly, Tubelight is not a flop, but in fact, a profitable film! With the additional collections throughout this week and next weekend, Salman Khan’s Eid release will have made a decent profit. Directed by Kabir Khan, Tubelight talks about the emotional journey of a slow learning brother trying to find his elder sibling, who is trying to safeguard the country from an invasion. Though the subject was really good and Salman delivered a fantastic performance, the film has not appealed to the masses. This is because of the poor execution and the negative reviews. But there is nothing for the makers to worry about as Tubelight has made a decent profit already.